The curtain hasn’t even been raised on the 91st Academy Awards, and already the reviews seem to be decidedly negative for the Super Bowl of entertainment. Case in point: "The Oscars are going to be an embarrassing disaster," proclaimed The Daily Beast. "The Oscars can't stop messing up and the ceremony hasn't even happened yet," declared Time. And a headline in USA Today read, "The Oscars show is shaping up as such a hot mess, we can't wait to see it." The last headline is onto something. Despite Academy members feeling insulted and the organization backtracking on several decisions, the show has had no trouble getting advertiser support. ABC has sold out of commercial space for the three-hour-plus broadcast. Anheuser-Busch is advertising on the show for the first time since 2005 to promote its limited-edition Budweiser Reserve Copper Lager. The brewer had originally planned the spot for Super Bowl LIII, before deciding the Oscars would be a better fit for the brand’s target customer -- and given that the ad stars Academy Award winner Charlize Theron. 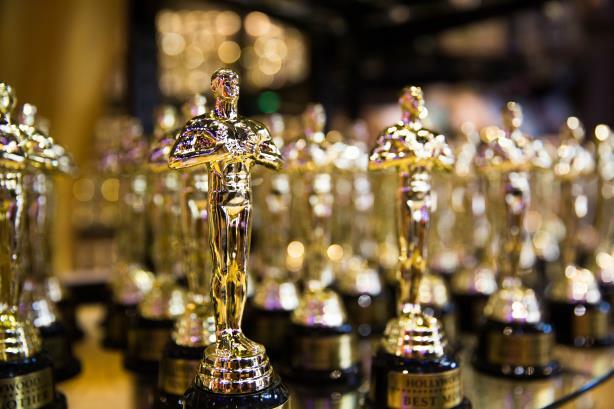 Although last year’s Oscars telecast dropped to record-low viewership, Ricardo Marques, VP of marketing for core and value brands at Anheuser-Busch, notes that the audience size is far bigger than regular TV programming. Live events also yield moments that people share online and become buzzy on social and in earned media. "There are certain times throughout the year, like the Super Bowl and the Oscars, when TV drives tune-in, but we like to create both Super Bowl-scale programming alongside nimble real-time content to drive engagement and earn attention," he explains. "We look for emerging conversations happening in culture that are bubbling in social [media] where Budweiser can add value and join the conversation but I like to think culture drives the conversation, not the TV properties itself." To that end, Theron has tweeted about the campaign. The actress, who has starred in Atomic Blonde and Mad Max: Fury Road, is set to be an Oscar presenter, giving an opportunity to Budweiser to amplify the campaign in real-time. 3PM, made up of Weber Shandwick in partnership with PMK-BNC, is taking the lead on comms outreach. Jenny Galante, director of marketing and partnerships for the Academy of Motion Picture Arts and Sciences, notes that brands are seeking 360-degree activations, looking to "become part of the overall entertainment experience – at the live event, within the broadcast, and throughout ongoing social media." Cadillac is returning for the sixth straight year as exclusive automotive partner, launching a multimedia Oscars campaign called Rise for its SUV lineup with six new TV spots, its first on-site red-carpet presence, and significant digital and social elements. On Sunday and during the telecast, artists and Oscar nominees from music and film, including Roma star Yalitza Aparicio, will share their stories of breaking barriers and overcoming adversity with the hashtag #KeepRising. Cadillac will also be the first automotive brand to leverage Twitter’s promoted trend spotlight beta that will highlight top tweets with #KeepRising. Despite the negative press for the show itself, PR pros note that this year’s host-less program will be an unknown quantity, making the property more interesting than in the past. In tandem with the ratings slide, critics have complained that the Oscars show bores, or that the work it celebrates isn’t diverse and reflective of the general population. The Academy of Motion Picture Arts and Sciences has changed the show to make it more culturally relevant. Following 2016’s #OscarsSoWhite controversy, the Academy invited a record number of new members to increase the diversity of its membership. However, some of its more recent decisions have been PR blunders. This week, the Academy reversed its decision to present four awards during commercial breaks to cut down on the show’s broadcast time. Alfonso Cuarón and Spike Lee, both Best Director nominees, and actors Russell Crowe and Seth Rogen were among those who called the decision insulting on social media. The Oscars will also be without a host for only the second time in its history -- the first time was in 1989 -- after comedian and actor Kevin Hart dropped out after a backlash over homophobic comments he had made in the past. In a move that PR pros are watching closely, this year’s Best Picture nominees will be introduced to the audience by film lovers, many from outside Hollywood. Tennis champion Serena Williams is set to introduce A Star Is Born. Other presenters from outside Hollywood include Spanish chef José Andrés and congressman and civil rights leader John Lewis. Sources say other personalities are closely guarded secrets. "I think bringing in the Serenas of the world appeals to a more-mass-market audience. It will also be interesting to see how brands get behind her and some of the other non-traditional presenters," says Courtney Nally, EVP of entertainment at Ketchum Sports & Entertainment. Nike, which ran an ad featuring Williams during last year’s Oscars, is expected to do something again this year in support of the tennis superstar. "Bringing in politicians make sense, too," adds Nally. "Entertainment has become so politically charged that a politician could benefit from getting in front of an audience like that. Look at the viral moment the Grammys created by having Michelle Obama come on stage and be a ‘sister’ alongside Alicia Keys, Lady Gaga, and Jada Pinkett Smith. I wouldn’t be surprised if we see the Academy Awards pull a page from the Grammys." Alisa Granz, EVP of brand and lifestyle for Rogers & Cowan, agrees that big, live shows have become less about the show itself and more about tapping into moments. "We’re in a time where brands believe that any moment could be their moment, and, with the right mix of creativity and timing, it often can be," says Granz. According to oddsmakers in the U.K., foreign-language film Roma is most likely win Best Picture at the 91st Academy Awards with 2/7 odds, but if the winning film was based on social media sentiment, the Oscar would instead go to the Bradley Cooper and Lady Gaga remake of A Star Is Born. Cooper’s directorial debut racked up 8,334 mentions on social platforms in February and a 96% positive sentiment, according to analytics firm Sprout Social. Black Panther followed with an 87% positive sentiment on 8,082 mentions. Roma was next with 6,460 mentions and 88% positive sentiment. The least likely to win of the eight films vying for the Academy Awards’ top prize? Bohemian Rhapsody, the biopic about Queen frontman Freddie Mercury that got no help from its Golden Globes showing last month. When the Hollywood Foreign Press awarded it Best Drama, fans of A Star Is Born took to Twitter to express their disbelief. People also took issue with Bohemian Rhapsody’s credited director, Bryan Singer, who was fired late in the filming and is facing several allegations of sexual misconduct. While the film had the most mentions on Twitter, Instagram, Facebook, and other channels with 9, 383 mentions, sentiment came in at a dismal 54%.